Are we going to receive any further communication from Monash in terms of advice for setting up a timetable or do I have to contact them? What stage are you at currently for your timetable? For anyone that's enrolled in LOTE units (above beginner), did you physically have to go to Monash to get that sorted, or is there a way for this request to be handled via an email? My placement test says that I can forward the results of the placement test to ask.monash, but I can't find an email address for this..
After you complete all your enrolment details and successfully submit your units for the year, give it a couple of minutes and you should be able to login to Allocate+ (a link should be on the left side of WES) with all your selected units ready to be allocated or given preferences. Depending on your faculty/specialisation, you may not have to do this at all. I don't remember having to contact Monash for anything to do with timetabling. I didn't personally have to do it, but a couple of my friends did. There's an online level test (link here). At the end of the test I believe it asks for your details so the coordinator can contact you if they need to, but it looks like it automatically will send you some kind of email. Presumably from here, you can attach the email you get indicating your level to an ask.monash query so they can enrol you into a stream higher than beginner. EDIT: Misread your post and thought you hadn't done the test. I'll leave it there for anyone else needing it. Presumably from here, you can attach the email you get indicating your level to an ask.monash query so they can enrol you into a stream higher than beginner. Thanks. I'm trying to get onto the Ask Monash site, but it keeps telling me that I don't have permission to access the page (-____-) Not sure if anyone else is having this issue. I can access it. It may be because you're a new student? Are you accessing it from the my.monash page? Ah bugger. Putting an enquiry through ask.monash at this time would probably take a long time to get a reply considering all the new students. The Arts student services can do it on the spot and it will process a bit later. 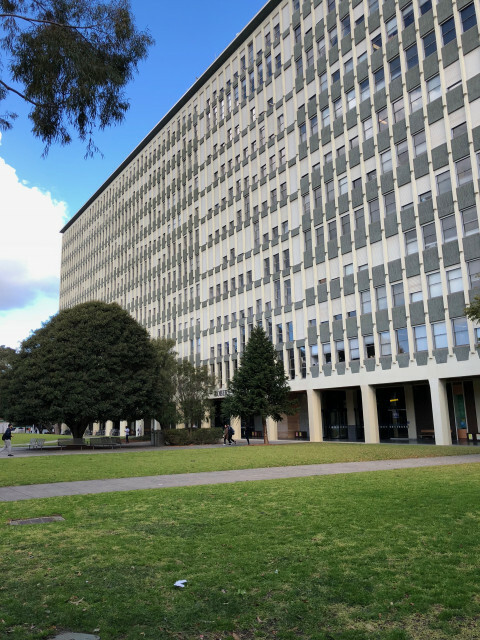 If you need the location, it's located in the second level of the Menzies Building (the massive building with all the windows near the campus centre and the Sir Louis Matheson library). Hope it all works out! This website for allocate timetable : https://allocate.timetable.monash.edu/ isn't working for me. It says it can't be reached, it took too long to respond, etc. What should I do? I waited all yesterday and until this time today, should I contact Monash? I really want to start exploring my timetable and this is worrying me! Hey guys, just a question about units. I'm trying to enrol in units for my Comm/Law degree, and my law units are straightforward. However, for comm, on the course progression map it lists MGC1010 (Intro to management) in the second year, but on WES it is automatically there for me. So, the units I have now are MGC1010, ECC1000, ETC1000 and MKC1200. I don't have either ACC1100 or 1200, so is that fine? Or is doing ACC compulsory for first year. (Sorry if this doesn't make sense at all). Open to tutoring and selling notes for some of these subjects, PM me for more details! You can do the first year core commerce units in any order you like In fact, some students like to save first year units until the end of their degree (to lighten their workload). However, you do need to be careful of prerequisites - for example, if you are thinking of doing second year accounting units (e.g. towards an accounting major) in semester 1, 2020, then you should do ACC1200 this year (as it is a prerequisite).